The First World War was an unprecedented catastrophe that killed millions and set the continent of Europe on the path to further calamity two decades later. But it didn’t come out of nowhere. 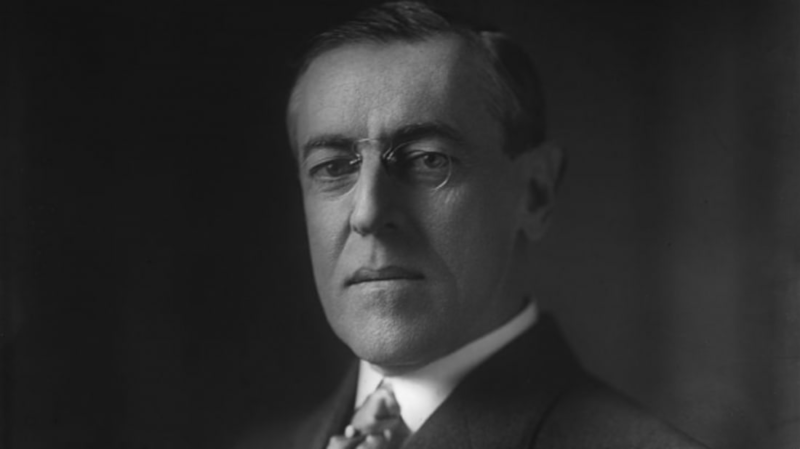 There aren’t many times in U.S. history when a candidate for president could take 41.8 percent of the popular vote and have it called a landslide victory, but that’s exactly what happened in the bizarre four-way election of 1912, when Democrat Woodrow Wilson swept to power with considerably less than half the vote. The election of 1912 occurred in a time of economic, social, and political upheaval. Thanks to high birth rates, an improving standard of living, and massive immigration from Europe, the U.S. population soared from 63 million in 1890 to 76.2 million in 1900 and 95.3 million in 1912, a 51 percent jump in just over two decades (for comparison, from 1990 to 2012, the U.S. population increased 26.5 percent from 248.7 million to 314.7 million). While the population was growing fast, voting rights were still confined to a relatively small number of Americans. On November 5, 1912, just over 14.8 million American men turned out to vote across the 48 continental United States. Because women and most immigrant non-citizens couldn’t vote in federal elections, and African-Americans were widely prevented from voting by Jim Crow laws or simple intimidation, the participating electorate represented just 15.5 percent of the total U.S. population of 95.3 million in 1912; that compares to a popular vote tally of 43.2 percent of the total population in 2008. Although activists for women’s suffrage and black civil rights were already demanding reform, gender and race were still mostly background issues in 1912: the most prominent social divisions of the era pitted the city against the countryside, and labor against business. These tensions resulted from rapid, sweeping change and were the source of mounting popular anxiety. From 1880 to 1910, the United States completed its transition from a mostly agrarian economy, based on farm production, to a mostly industrial economy based on manufacturing. While industry’s share of gross domestic product had been increasing throughout the 19th century, its contribution to GDP passed agriculture’s for the first time in the 1880s. Subsequently farming’s contribution to GDP slipped from around a third in 1890 to a quarter in 1909, while the proportion of the American work force engaged in agricultural work fell from 50 percent in 1870 to 32 percent in 1910, and the share of the population living in rural areas fell from 64.9 percent in 1890 to 54.4 percent in 1910. At the same time there was also growing tension within the cities themselves, as factory workers confronted wealthy industrialists and the government with demands for better pay and working conditions. As the industrial economy expanded, wages often failed to keep pace with the cost of living—although the average yearly income of a factory worker increased from $426 in 1899 to $579 in 1914, this actually represented a 10 percent decline in terms of real purchasing power. Unsurprisingly, labor disputes were commonplace, and around this time they reached a boiling point: According to the New York State Department of Labor, the number of employees involved in strikes and lockouts in New York (the most populous and industrialized state) soared from 23,236 in 1908 to 206,922 in 1910 and 304,301 in 1913. Among the mainstream parties, the Republicans were split by former President Teddy Roosevelt’s decision to run again. Roosevelt had fallen out with fellow Republican William Howard Taft, his friend and successor, over a variety of social and economic issues. As the leader of the “progressive” Republicans, Roosevelt wanted to pursue social reforms and improve conditions for industrial workers, which put him on the side of unions; indeed, in October 1912, he declared, “It is essential that there should be organizations of labor. This is an era of organization. Capital organizes and therefore labor must organize.” Meanwhile, Taft and the “conservative” Republicans sided with the captains of industry against the unions, which Taft criticized for “lawlessness in labor disputes,” and opposed any further legislation protecting organized labor. There was some common ground, however, as both conservatives and progressives tended to support tariffs to protect American industry. The split in the Republican Party ended up handing the White House to the Democratic contender, Woodrow Wilson—a professor of political science who previously served as president of Princeton and then governor of New Jersey. In a rancorous national convention, Wilson clinched the Democratic nomination only after receiving the endorsement of William Jennings Bryan, who continued to speak for the interests of American farmers. Wilson’s platform reflected the desires of this rural base, including cotton growers in the Deep South: Like Bryan, he opposed protective tariffs which favored industry at the expense of agriculture, and in 1916 he signed the Federal Farm Loan Act. But he also co-opted the Republicans by adopting key progressive policies, including trust-busting and social reforms. In the end, the divided Republicans together took 50.6 percent of the popular vote, with 27.4 percent going to the Progressive Teddy Roosevelt and 23.2 percent going to Taft, the actual Republican nominee. Roosevelt won considerably more states, however, including Pennsylvania, Michigan, Minnesota, Iowa, Washington, and most of California (which could divide its Electoral College votes, as Maine and Nebraska do today), giving him a total 88 votes in the Electoral College; Taft only managed to win Vermont and Utah, giving him a grand total of eight votes in the Electoral College (he even lost his home state of Ohio). Thus Wilson managed to win a huge victory in the Electoral College despite getting less than half the popular vote. His 41.8 percent of the popular vote translated into victories in 40 out of 48 states, for a whopping 435 votes in the Electoral College.